Beginning in the fall of 2013, an overhaul to the requirements for students in the College of Engineering honors program will be enacted. Current prerequisites will remain the same to gain admission into the program, but requirements for graduation will change to provide a more diverse experience for students. University-wide honors requirements of maintaining a 3.5 GPA and completing an honors research project will remain in place. “What’s really new, and what hopefully will be more appealing to students is that we ask that students in the program illustrate excellence in three categories,” said Amy Kaleita-Forbes, chairwoman of the engineering honors committee and associate professor in agriculture and biosystems engineering. The three categories include breadth, depth, and community and professional development. “Breadth means we want them to take some other courses outside of engineering; depth involves really digging into your chosen area of study. Community and professional development can include outreach programs or working on non-technical skills to develop yourself as a professional,” Kaleita-Forbes said. Within each category, a student is required to either achieve one intense expression, or two moderate expressions. An example of an intense expression could be the addition of a second minor or major in a science or engineering field. A moderate expression includes working as a supplemental instruction tutor. The new system will replace the current points-based system, one that Kaleita-Forbes described as confusing, and limiting students’ ability to branch out without sacrificing honors credits. “When we talked to alums, a lot of what we heard was they would say they studied abroad and that was amazing, or they took a 400-level psychology class and it was fascinating. The old system didn’t prevent you from doing any of this stuff, it just didn’t credit you for doing it,” Kaleita-Forbes said. Under the new system, a student can now progress in meeting their requirements by participating in study-abroad opportunities or becoming a learning community peer mentor, among other options. “What we would like is for the plan of study requirements to credit them and value all the things they already want to be doing,” Kaleita-Forbes said. While making the changes, which will be officially set this summer, the College of Engineering honors committee reached out to past and current students. “We talked to students, we talked to alums, we looked at requirements at other universities’ honors programs and decided to rework the requirements to hopefully be more aligned with the things that students are already doing that make them so excellent,” Kaleita-Forbes said. Some engineering honors students find the current requirements to be confusing and overly rigorous as well. “The current engineering honors requirements to me do seem more challenging, especially compared to other majors,” said Sam Eastman, freshman in mechanical engineering. After reviewing the proposed revisions, sent to current honors students earlier this spring, the new requirements “seem doable,” Eastman said. 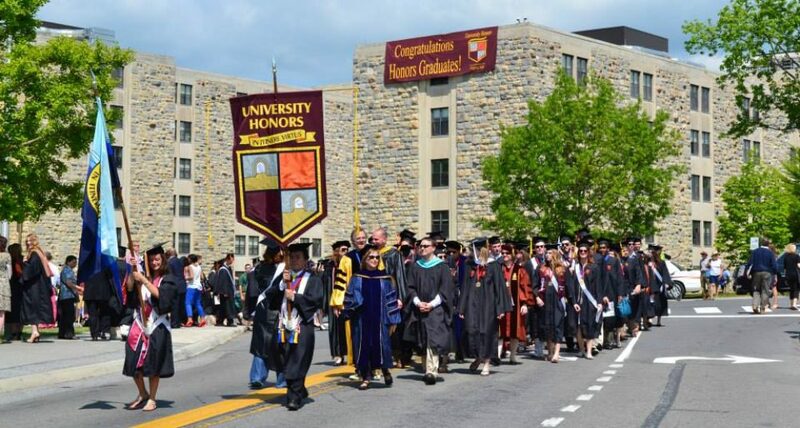 Students who favored the current points system have the ability to complete their honors degree using the system, but must have their plans of study approved by semester’s end. Most who have begun under the current system will be accommodated so as not to be at a disadvantage. “I don’t know that there are a whole lot of students for whom this is definitely harder to accomplish. In fact, I’ve seen numerous students who are clearly meeting these requirements who would’ve really been challenged to squeeze in everything under the old system,” Kaleita-Forbes said. Students interested in joining the program or who want to receive more information are urged to contact their adviser or their department’s honors adviser, as the website is currently under revision to reflect the new changes and will be fully reflective of the new requirements by this summer. This entry was posted in Honors Curriculum, Honors News and tagged engineering honors, iowa state daily, iowa state engineering honors, iowa state honors, mike randleman by Honorsadmin. Bookmark the permalink.